The true impact of Captain America: The Winter Solider's events will soon be revealed in Agents of S.H.I.E.L.D. 's highly-anticipated tie-in episode, "Turn, Turn, Turn," and series co-creators Jed Whedon and Maurissa Tancharoen are now beginning to reveal how this monumental change to the series’ core element will impact the future of the show. While speaking to THR – and after shooting the season 1 finale with a special Marvel Movie guest star – Whedon and Tancharoen talk about Hydra’s impact on the series from the start; Coulson’s (Clark Gregg) return to the Marvel Cinematic Universe; and what’s left of everyone’s (once) favorite secret organization. In Captain America: The Winter Solider, it is revealed that Hydra has infiltrated much of S.H.I.E.L.D. and, in an attempt to protect the world from their assassination Helicarriers, Captain America (Chris Evans), Nick Fury (Samuel L. Jackson), Maria Hill (Cobie Smulders), Falcon (Anthony Mackie) and Black Widow (Scarlet Johansson) destroy S.H.I.E.L.D. as we know it, leaving Coulson and co. with far fewer friends than they had before. Whedon: The great thing about the Marvel Universe is that it’s one universe. So, that’s the thing that makes it exciting. And that’s the opportunity we were given. And so this was obviously something we would have to incorporate. Right away, we saw both the challenges it posed and the opportunities it would bring. Now with context, it’s easy to see how Agent of S.H.I.E.L.D.’s launch and subsequent episodes could have been very heavily impacted by finding out about Captain America: The Winter Soldier - after already the show was already picked up. The pilot was shot and in the can, and any intended arc and/or character development that were originally planned would need to be tweaked in order to support a monumental storyline that’s coming 5 months after the premiere – not to mention a required tie-in for Thor: The Dark World too, which really had little to do with S.H.I.E.L.D. directly. Whedon: Coulson’s already had a rough year. The organization that he devoted his life to has lied to him. He’s always known that secrets are a big part of it but he started to pay a price for that. This is a heavy blow. One, it’s a huge punch he’ll have to roll with in some way. We had been exploring the affect it would have on him and other members of the team. Tancharoen: Now that there’s sort of the overall big bad that’s revealed, there’s differently[sp] a procedural approach to taking down those factions that exist within S.H.I.E.L.D. 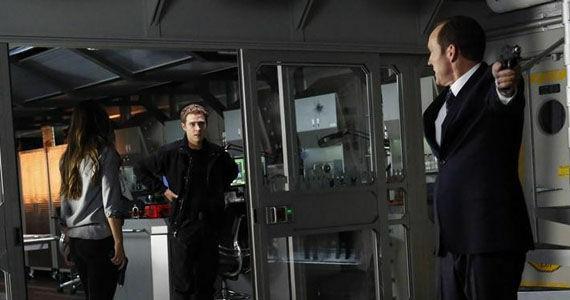 To audiences, Coulson is essentially S.H.I.E.L.D., and he will serve as the proverbial linchpin to the television series’ version of Phase II. 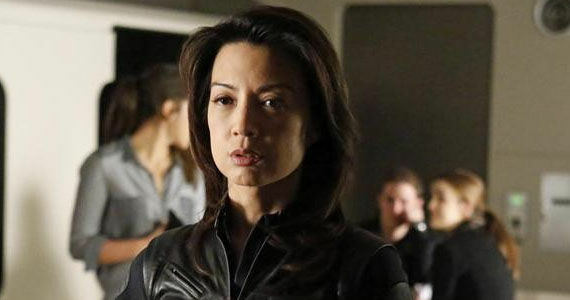 No matter how many factions still exist within S.H.I.E.L.D., or how shocked Agent May (Ming-Na Wen) is to find out she’s been unknowingly helping Hydra, viewers will look to Coulson, his reaction and subsequent plan to truly define the importance and strength of this monumental moment, and whether or not it’s worth it to continue watch. Coulson is a man of few words; however Clark Gregg is, as Aaron Sorkin’s Sports Night proved, someone who can take the smallest moments and make them memorable. 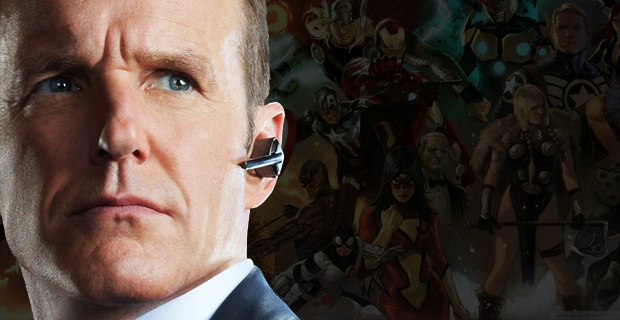 What about Coulson’s return to the Marvel Cinematic Universe? Tancharoen: That’s always a possibility. There’s also the possibility of other characters from our show having a place in a Marvel film. Right now, our show is designed to stand on its own, with Coulson at the center. With everything that happened in Captain America 2 we are dealing with details and the personal and emotional fallout. That’s the great thing about the Marvel Universe: you can always interweave at some point. "Yes and no," appears to be the answer here. Coulson being alive, without any of the Avengers knowing, can hold until The Avengers 2: Age of Ultron - but at some point The Avengers will have to know that their friend is still alive, and then comes the “problem” that Tancharoen slightly hints at. Coulson is no longer “Coulson”; he’s responsible for a team and, now, is without an organization to back him, so when he returns to the MCU he will be returning as Coulson and co., even if no one else from the series appears with him; but what if someone does? At that point, the MCU will be combining its powers with Agents of S.H.I.E.L.D., and if scenes with Coulson and May – or Coulson and Skye (Chloe Bennet) - don’t play well to the movie-going audience, then the MCU movie in question will have taken an unnecessary hit for its television sister. Tancharoen: I think it’s thrilling for us for people to finally be able to see it. I mean, we’ve known about this from the outset. The whole season was built towards this. We started very standalone, planting seeds, and that will pay off in the back half. Everything was sort of shaped and structured for this part of the season, for this link-up with the film, so these last six episodes, we’re really thrilled for people to see. Agents of S.H.I.E.L.D. had its fair share of missteps before finally finding its voice, and while the series still isn’t perfect, it’s slowly finding its way. What all is in store for Coulson and co. is still taking shape, but from where the series began and where it is now - along with a thoroughly entertaining Captain America sequel - it will be exciting to see where they take things in the last stretch of season 1 - and the bid for season 2.